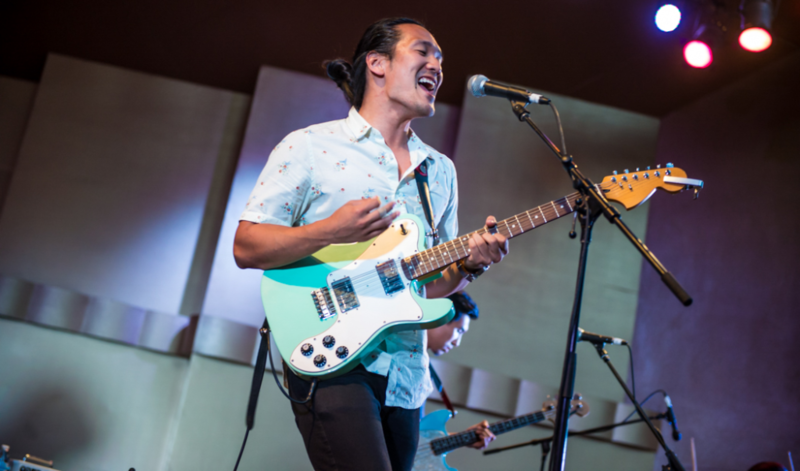 Earlier this month, two members of Run River North—the fun-loving folk rock band you might recognize from their 2015 performance at Levitt Los Angeles—opened up about their new album and unlikely musical journey on KPCC’s Take Two. This was the second time Take Two’s A Martinez chatted with the LA-based Korean-American band, formerly known as Monsters Calling Home. The original interview actually took place inside his car, a fitting location given the band’s serendipitous rise to fame. In 2012, Run River North was rapidly launched into the public eye when the band’s DIY music video of “Fight to Keep” —which, as you’ll see below was entirely performed and filmed within the interior of a car—went viral. When Honda, the car’s manufacturer, caught wind of the group’s video, they decided to surprise the six-person band with a guest appearance spot on Jimmy Kimmel Live. Check out the group’s new album, “Drinking From a Salt Pond” here.